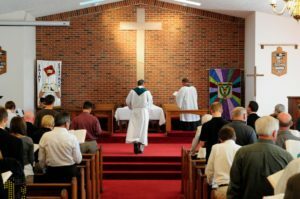 St. Stephen’s Anglican Church (REC) upholds the Bible as its authority on all things pertaining to salvation and holy living. Our worship is in the tradition of the Anglican Church (REC) as we are fed weekly in both Word and Sacrament. Our priorities are corporate worship, passing the covenant of Christ Jesus to our children and caring for the needs of others. St. Stephen’s is a member of the Reformed Episcopal Church and the Anglican Church (REC) in North America. We welcome all to join us for worship on Sundays at 10:30 am.